Q. What are charter schools? Q. How are charter schools governed? A. Charter schools are governed by a Board of Directors appointed by the School's Authorizer. Bylaws of the Board of Directors outline its role and responsibilities. Some charter schools employ an education service provider/management company to provide executive leadership and management services. Other charter schools choose to go it alone with the Board and School Director. Q. What are the benefits of sending my child to a charter school? A. Children attending charter schools benefit from small class sizes, high academic standards, and innovative approaches to teaching and learning. Charter schools are organized by a founding group that is passionate about the basic tenets of the curriculum. Enthusiasm for the school is contagious. Board members, staff members, parents, students, and community members are attracted to the charter school because their interests coincide with the charter school's educational program and special themes. Charter schools have to be responsive to parents' concerns because they operate in a free market. Parents literally make the choice to send their children to the magnet or theme school. Parents also typically transport their children to school, which means that parents have a stronger connection and more active communications with the faculty and staff. Q. 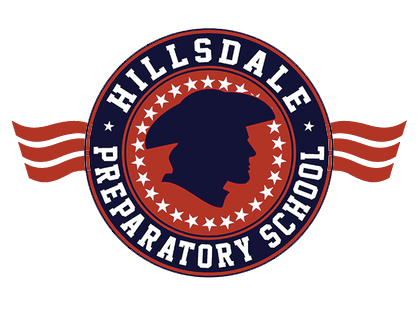 How do I enroll my child in Hillsdale Preparatory School? A. Parents or legal guardians are invited to submit an application for student enrollment at the school. All forms must be submitted in person. Students will be accepted and assigned to classes on a first come, first served basis. If a particular grade is full, students will participate in a lottery process at the end of the official enrollment period or will be placed on a waiting list in the order enrollment applications are received. Q. Who is eligible to enroll at Hillsdale Prep? A. Any student eligible to attend public schools in Michigan is eligible to enroll at the school. To enroll in Kindergarten, your child must be at least five years of age on September 1st of the school year of enrollment. Hillsdale Prep does not discriminate against any student on the basis of ethnicity, national origin, gender, or disability. Charter schools are public schools and all children are encouraged to attend. Q. What materials are required for enrollment for the first time? Birth certificate: The child’s birth certificate is required for enrollment in all grades. Immunizations-Transfer Students: All new students must satisfy the same immunization requirements. Parents must present proof that immunizations have been received.